I am trying to think of a lesson plan about html, and I am looking for a good way to explain the concept of the structure of an html file. and then use this basic block to get into the subject, after which we veer off to html specific xmls. The students are at a beginner's level, and HTML is the first technology with a structure like this that they will encounter, So this lesson is meant to introduce them to HTML. So, is knowing the concept and basics of xml structure important and necessary for understanding html? How did you begin to teach Java to your students? I bet you didn't start by showing them the Backus-Naur form that the Java parser follows. Instead, you probably introduced a simple "Hello, world" program, and slowly built on that with assignments and projects for the students to work on. I'm sure you can see the parallel here—teaching XML as a prerequisite for HTML is not, in my opinion, a productive or helpful exercise. XML is a rather boring language; it doesn't do anything, so you don't get that instant feedback when you write some code, unlike in HTML, where you can see the webpage unfold as you add elements. HTML is also simple enough that you can generally pick it up as you go along; explaining that you start an element with <tag> and end with </tag> should be simple enough, and any mistakes in the markup will be visible when you load the page. As a general rule, if you want to teach [insert language here], you probably don't need to teach a different language first; teaching XML to make HTML easier probably won't give you the benefits you're expecting. 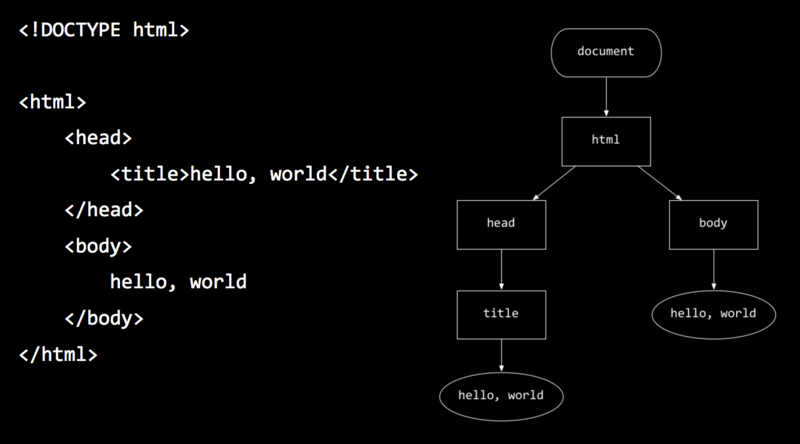 I'm rather partial to the typical "Hello, world" for HTML. Almost certainly, your students will spot that the title is "My First Webpage", and I imagine that they'll be able to guess <h1> with some guidance. Add a paragraph (<p>) after the heading. I would expect that <img> would need some explanation, because it will be the first element with attributes, and it's self-closing, which is different to all the others. I would avoid starting with something this abstract if the aren't used to it. Doing so might, in my experience, turn away students, especially since the beginning is usually the easiest. If the beginning is hard, they might not understand it. I would start by explaining the basics like <html>, <body>, <head>, and also images, links, etc. Basically what you need to make a functioning, but not very special site. Then, if you have enough examples of structures like you describe in the question and the students already know these examples, you can show them the general, abstract form. 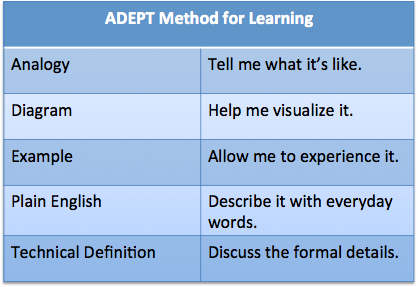 Doing so avoids that they have to learn the examples and the abstract form at the same time. It's elementary, but with this basic structure it is easy to visualize nesting, siblings, and paths of traversal. Also, from a stylistic perspective vis-a-vis indentation, each child equals one further tab in, so this structure also makes it possible to address code style. As a result I wouldn't say one needs to know XML before HTML. Instead, one should know the structure common to both to be effective with either. Perhaps one of the best ways I've found to explain these concepts to students is that of human anatomy... head, body, feet (foot). 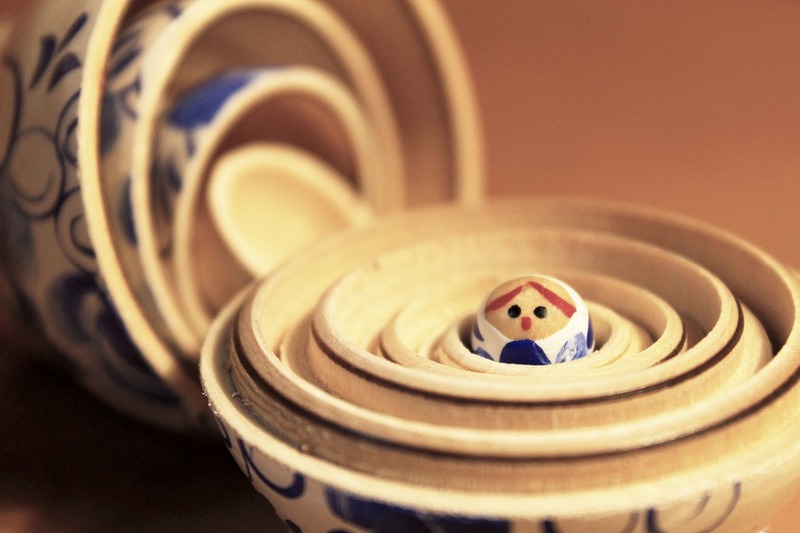 Russian dolls nest inside each other, much line block of code in almost all modern programming language (maybe all post “goto considered harmful” languages). I have used Russian dolls to help to explain the idea of nesting. My students are already familiar with Word documents by the time I get them (Grade 6 is when I start them on HTML) so those are the most common analogy that I use in my classes. I explain that HTML was invented as a way to share documents over the internet. I review document parts and compare examples in Word and HTML. 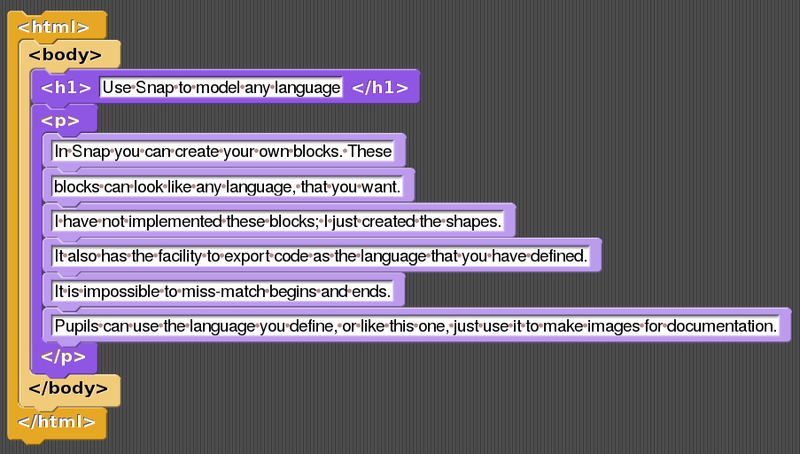 I typically start students with a Hello World example as several other answers have mentioned. Let students have that quick feedback from their browsers and get into the habit of making stuff. When it comes to anything more than a simple paragraph or two - especially the potentially messy nested elements like lists and tables - I fall back on that Word analogy. I consistently refer to HTML files as documents and reinforce the names of document parts that Word and HTML have in common (like headings, paragraphs, images, tables, lists, etc.). I demonstrate making a table in Word first and introduce the "row", "header", and "data" vocabulary to motivate the tr, th, and td abbreviations and give them meaning. I also use spatial metaphors (for example, I tell students to make sure their head is "above" their body) and enforce fairly strict indentation rules so that students can see which elements are "inside" each other. I make sure students open and close tags and elements, and I frequently reinforce "element" and "tag" and related vocabulary words. I introduce parent/child/sibling a little later and tree diagrams a little later, with the family tree being the most obvious analogy there. I give students lists of things to check for - for example, are all of their tags closed? All of their elements? Are all of their element names spelled correctly? I basically build up from the practical and familiar towards the abstract and unfamiliar - and over time and practice that structure becomes much more obvious and familiar. Use Snap to model it. HTML is primarily a markup language, not a document structure. XHTML, which we use almost exclusively these days, is both. But that means HTML is much easier to explain than XHTML. You can markup anything. I can write something (and markup this bit:) with markup (:finished markup) without knowing or caring anything about document structure. Once people are happy with markup, it's easier to introduce them to document structure - you're giving "the whole document" some markup. N.B. : this is, of course, how most people learnt HTML back before XHTML existed; new students today possibly get forced through a harder route, going straight to XHTML, thanks to the predominance of XHTML in real-world use. Not the answer you're looking for? Browse other questions tagged lesson-ideas introductory-lesson html xml or ask your own question.